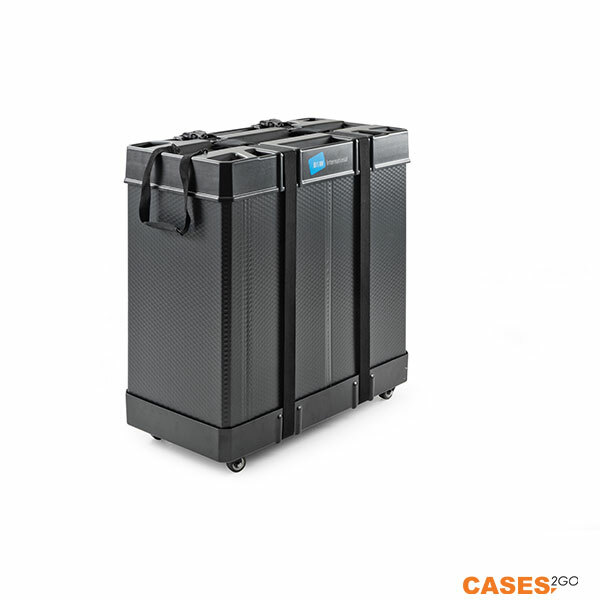 The International Folding Case offers a robust storage solution for your bike & accessories. This case is the perfect companion for keeping your bike safe. 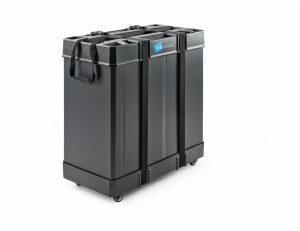 The B&W foldon box M is a unique transport case for folding bikes. 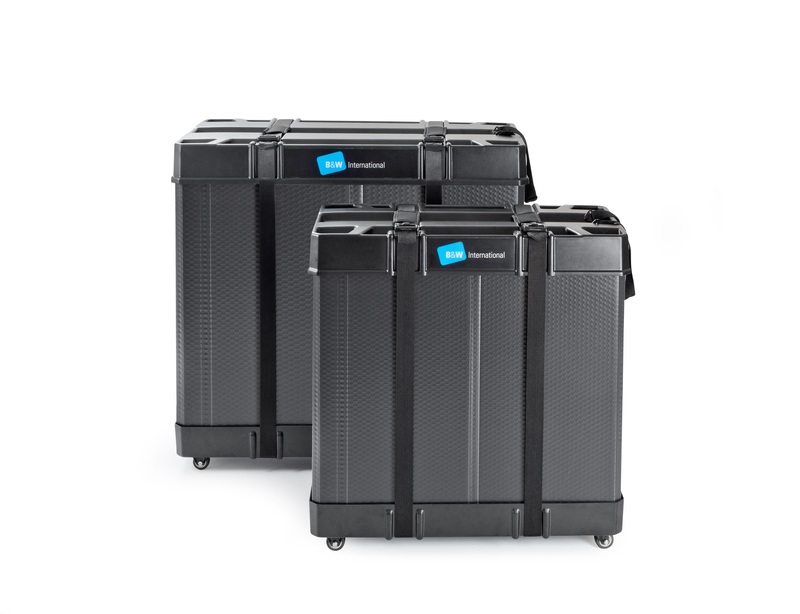 The foldon box is design to carry all Brompton bikes as well as most larger folding bikes. 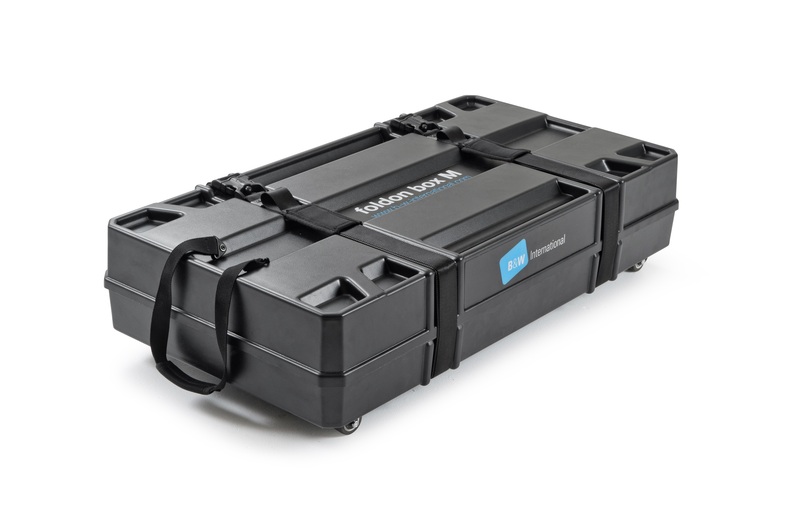 The B&W foldon box M is the bigger brother of the foldon box S. The internal walls have protective foam padding and the polypropylene / ABS shell offers excellent impact protection, as well as being very light, 7.9kg. 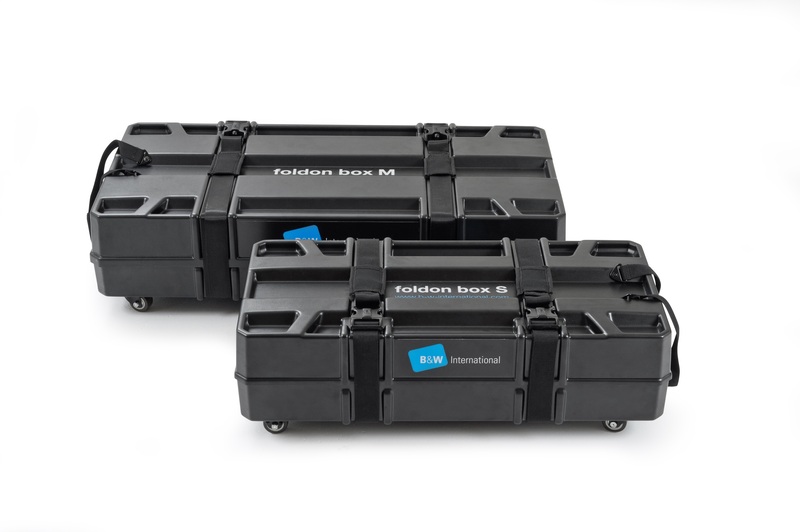 The foldon box M is held tightly closed with 2 robust straps with lockable buckles, suitable for TSA compatible locks. Moving the foldon box M is easy, with fixed wheels at the back and rotating castors at the front, pulling the case by the padded handle is effortless. When not in use, the foldon box can be collapsed and packed down to just 20cm high. The side panels fold down and fit inside the lid and base for simple easy storage. Light, strong, intelligent design – the B&W foldon box.